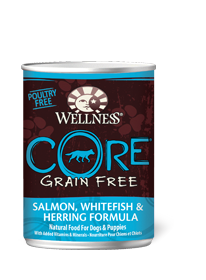 You’ll see your dog’s delight when they discover a meaty middle with chicken, salmon and tuna. Shredded proteins and rich gravy are surrounded by delicious pâté with spinach. Chicken broth, water sufficient for processing, chicken, salmon, tuna, spinach, potato starch, chicken liver, egg, natural flavor, locust bean gum, carrageenan, guar gum, tricalcium phosphate, potassium, chloride, sodium carbonate, salt, xanthan gum, magnesium sulfate, vitamins [vitamin e supplement, thiamine hydrochloride, niacin, vitamin a supplement, pyridoxine hydrochloride, d-calcium pantothenate, riboflavin supplement, folic acid, vitamin d3 supplement, biotin, vitamin b12 supplement], choline chloride, zinc amino acid chelate, iron amino acid chelate, manganese amino acid chelate, copper amino acid chelate, potassium iodide, sodium selenite. 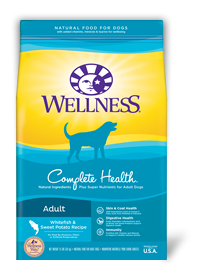 Wellness® CORE chunky centers with Salmon, Tuna & Spinach is formulated to meet the nutritional levels established by the AAFCO Dog Food Nutrient Profiles for maintenance. 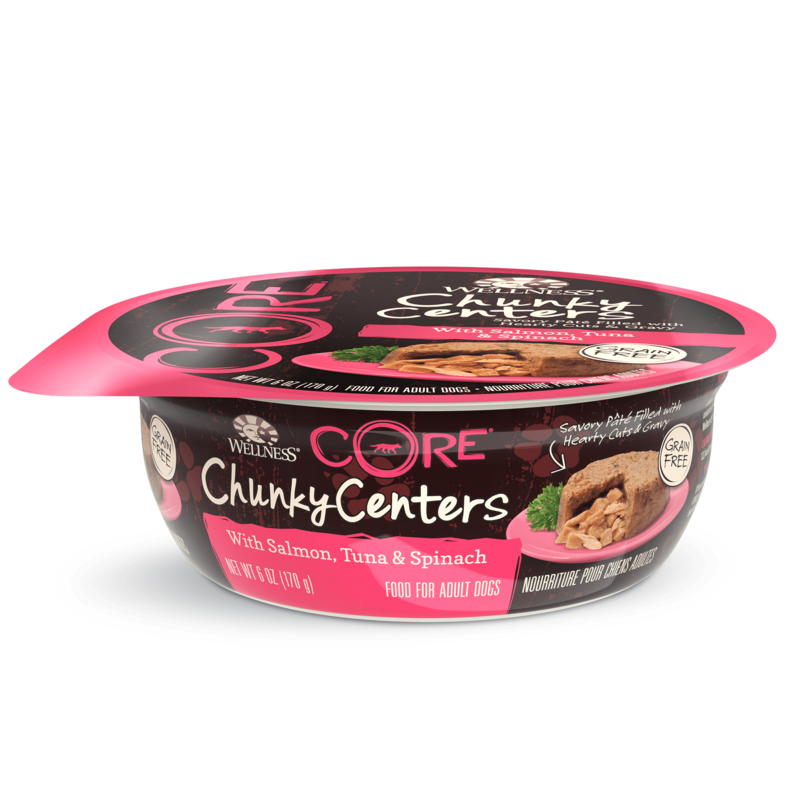 Calorie Content: This food contains 720 kcal per kilogram or 122 kcal per cup ME (metabolizable energy) on an as fed basis (calculated).